Chief Election Commissioner KM Nurul Huda on Tuesday expressed dissatisfaction with EC Mahbub Talukdar for his statements given yesterday (Monday) over level-playing field ahead of the December 30 national election. “Mahbub Talukdar did not speak the truth. The overall electoral situation is good. What do you mean by level playing field in election? What is the definition of level playing field?” Huda told journalist after a view exchange meeting on the law and order situation of the three hill districts held in Rangamati. 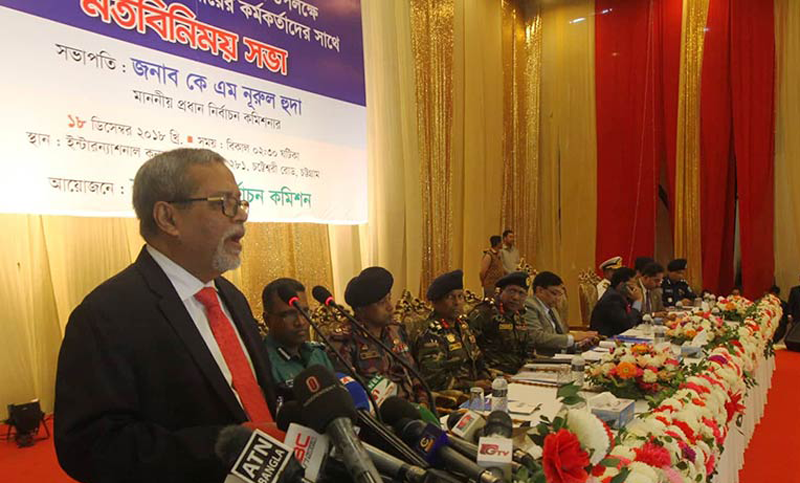 Election Commissioner Mahbub Talukdar on Monday said a level playing field for the December 30 polls was still absent and that the situation might improve after the deployment of armed forces.